oooh. i might need to pick up a pair of these. 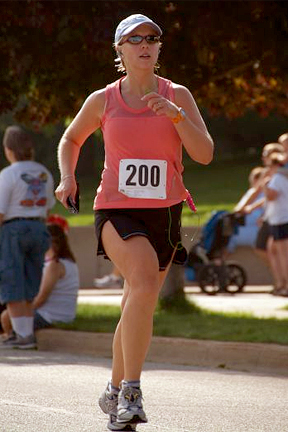 I run in knee length or below for the chub thigh reason. Haven't found a pair of compression shorts that actually stayed put and I absolutely hate yanking shorts down during a run. That's how I discovered running skirts with the briefs underneath. Shorts don't work--the fabric crams itself up between my inner thighs...and the running skirts with the compression shorts aren't much better. The briefs + Body Glide is good stuff up to about a half marathon distance. I'm hoping that these PI shorts will work for further distances, otherwise I might have to wear longer tights for the marathon.